The major opposition Liberty Korea Party(LKP) has called for a parliamentary probe into the confirmed illegal entry of North Korean coal into South Korea. LKP Rep. Shim Jae-cheol said at a press conference on Friday that the National Assembly needs to investigate the matter to clear up lingering suspicions. Earlier in the day, the Korea Customs Service(KCS) announced the result of its months-long investigation into the case, revealing three South Korean firms imported 35-thousand tons of North Korean coal and pig iron from Russia, valued at six-point-six billion won, between April and October of last year. 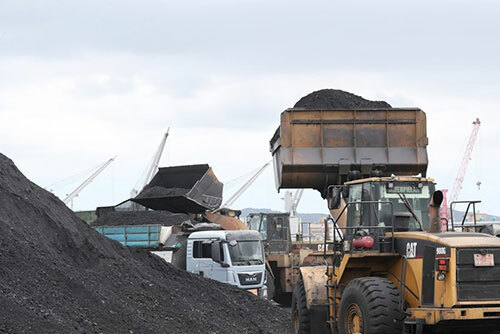 The lawmaker accused the Foreign Ministry and the KCS of effectively turning a blind eye to the illegal coal shipments, calling it an international humiliation that hurts South Korea’s credibility. He claimed the latest findings could put South Korean companies, including those in related industries and financial firms, at risk of facing secondary boycotts. He also warned the government of possible legal suits by other related countries. Shim noted there are still unresolved suspicions that more North Korean resources may have been smuggled in, such as oil. The minor opposition Bareunmirae Party also issued a statement criticizing the KCS for failing to fulfill its duty and demanded a public apology from the customs authorities.